Soccer midfielder who's spent much of his career in Ekstraklasa, Poland's top league, where he's won several Polish Cups. He's also spent time in the Bundesliga and 2. Bundesliga with FC Köln. He spent his youth career with Nafta Jedlicze and Orlen Plock. He joined Wisla Plock of the Ekstraklasa during the 2002-2003 season. 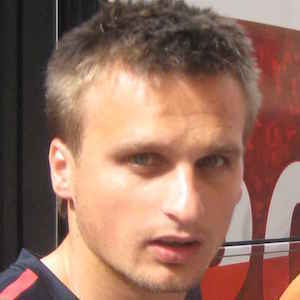 He's represented Poland internationally, first appearing with the team in 2008. He marred Anna Peszko in 2009 and has a daughter named Wiktoria. He and Lukasz Fabianski have both represented Poland internationally.